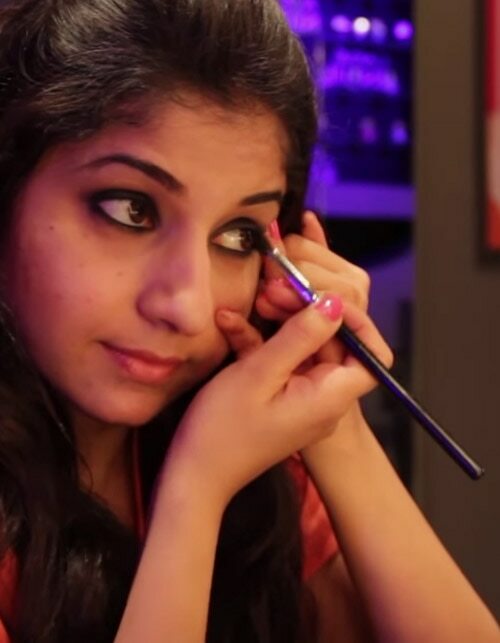 If there’s one cliche that every girl would like to try at least once in her life--it's that of getting things done by batting her long, beautiful eyelashes. But to get there of course, there’s a lot of trial and error and mascara lessons learned the hard way. Because no one wants clumpy, spidery lashes, right? Turns out, no matter how many times you’ve applied mascara, you might end up with these because unknowingly you might be applying mascara the wrong way. To stop that from ever happening again, these fool-proof makeup tips are all that you need. Follow them to the t and you’ll be seeing dark, defined lashes in no time. Right from the time you remove the mascara wand from the tube, make sure to do it right. Most importantly, avoid repeatedly putting the wand in and out of the tube. It’s called pumping and it allows air inside which dries the product. Just pulling the wand out once will dispense more than enough mascara to use. Before applying it on your lashes, wipe off the excess on a tissue. This will reduce the chances of unsightly mascara chunks being deposited on your lashes. Audrey Hepburn’s makeup artist used to famously separate each of her eyelashes with a pin to give her that bright doe-eyed look. Most of us have neither a makeup artist nor the patience to do that so the next best thing is a spoolie or clean toothbrush. Once the mascara is applied, brush the lashes with either of these tools to separate each of the lashes to make them look more defined. Every makeup look deserves the right mascara that will gently curl the lashes, give them a dramatic look and avert clumps along the way. 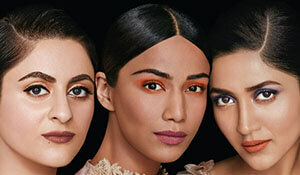 For that we recommend the Lakmé Eyeconic Curling Mascara and Lakmé Absolute Flutter Secrets Dramatic Eyes Mascara. The former has a Smart Curl Brush and D-Panthenol Moisturizer which gently adds volume to the eyelashes for a fresh day look. 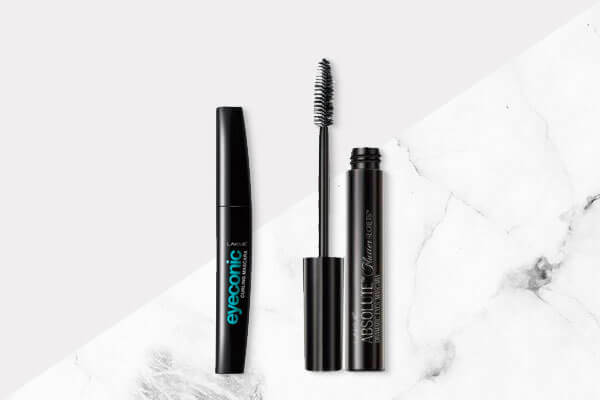 The latter is best suited for a night out as its easy applicator gives the eyelashes plenty of volume and definition while keeping them smudge-resistant and waterproof. A common cause of thick, spidery lashes is dried mascara that applies clumps of product. If you aren’t willing to let go of your favourite mascara just yet, here’s a way to save it from going down the same route. One way to do this is by immersing the tightly closed tube in warm water for a few minutes. This will warm up the product inside and ensure easier application. Another way is by adding a few drops of contact lens solution inside the tube and shaking it thoroughly before applying. 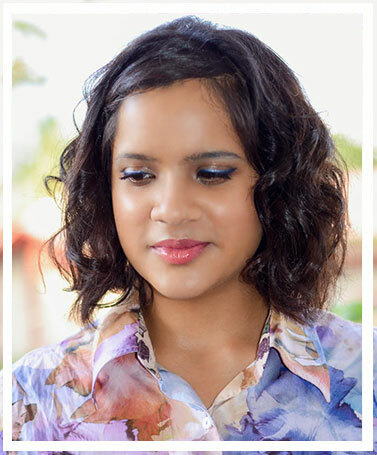 This makeup tip will smoothen the formula of the mascara so that it applies without leaving any clumps. Although a mascara wand may look like a comb, don’t use the same technique on your lashes that you would on your hair. To apply mascara correctly on longer lashes which are on the centre of your lash line, place your wand at the base of lashes and wiggle it slightly while moving it upwards. This motion separates lashes and makes them more defined while removing clumps. For the tinier lashes at the ends of your lash line, place your wand vertically and use the narrow end for easier application.